Pastry chef, author, and TV personality who co-owns Momofuku Milk Bar. She authored the cookbooks Momofuku Milk Bar and Milk Bar Life. She won the James Beard Rising Star Chef Award in 2012 and the James Beard Outstanding Pastry Chef Award in 2015. She was an electrical engineering student for a year at the University of Virginia, graduated from James Madison University, then enrolled in the French Culinary Institute's pastry arts program. 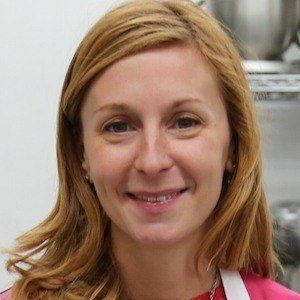 She became a judge on the show MasterChef in the show's sixth season and MasterChef Junior in the spin-off's fourth season. She was primarily raised in Springfield, Virginia but was born in Ohio. She appeared on Conan in April of 2015.